The summer’s best mysteries are packed with harrowing escapes, high risk thrills, and hard-boiled sleuths. These thrillers find adventure around the world, from the peaks of Nepal to the English countryside. Turn up the pressure and catch a chill with these indie titles. To say that Death In Shangri-La is a cliffhanger is an understatement. 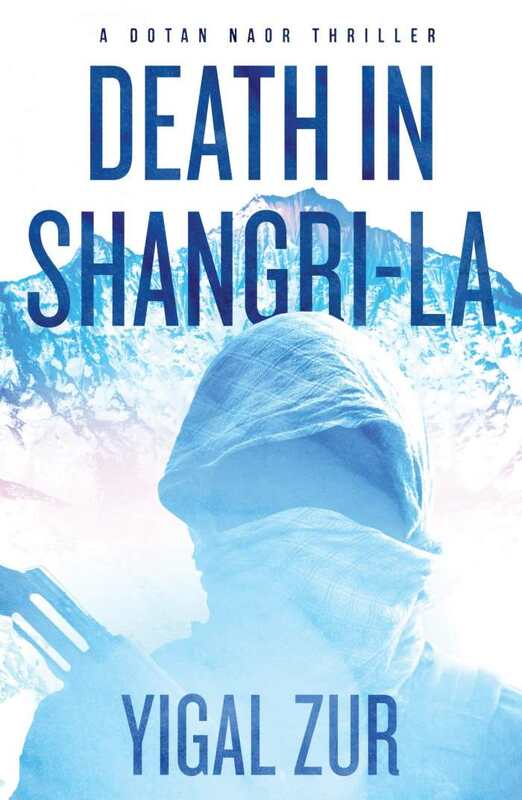 Set in the unforgiving, breathtaking landscape of Kashmir and the Himalayas, this new thriller by travel writer and television host Yigal Zur is an exciting trip to a rarely explored corner of the world. Dotan Naor is a former Israeli security agent who has gone into business as a private investigator. In Death In Shangri-La, the first in a series, Naor goes looking for Itiel, an arms merchant’s son who has disappeared into the Himalayas. It’s not just a simple case of a missing person: the area is peppered with terrorist groups who hunt down groups of young Israelis. Although the missing son may have vanished into one of the region’s ashrams, he could be a hostage—and a valuable one, at that. Naor worms his way into the dangerous region, unraveling a mystery that pushes the tension higher with every chapter. Language and landscape are key in Death in Shangri-La. Translated from Hebrew by Sara Kitai, the novel is lush and cinematic in scope. Zur’s familiarity with Southeast Asia and the region around Nepal brings this hardboiled novel to life, creating a vibrant, high-risk backdrop for Naor’s mission. Zur, also a former journalist, is a fearless writer. Death in Shangri-La is stuffed with details yet spare: Zur sticks with tropes that are worthy of the best noir. At its core, this is a powerfully told detective story set in one of the most beautiful and deadly places on earth. Yigal Zur’s new Dotan Naor series is off to a strong start with this intense, politically conscious thriller. Don’t Look Now is a fast-moving thriller that mixes hashtags with psychopathic slashers. A modern Jack the Ripper tale, this novel’s contemporary details make it vivid, believable, and extra frightening. When a serial killer takes to social media, London detective Dan Fenton hopes to find some forensic evidence. However, whoever is murdering young women in inner London knows his stuff. Without leaving a trace of DNA at any crime scene, the killer memorializes each deadly act on social media, capturing the horrific last moments of his victim. Using the hashtag #IKiller, he quickly builds a fascinated social media following, spurring tabloid headlines like “Instagram Killer Is Online Thriller” and “Social Media Frenzy Over Twitter Ripper.” Fenton searches for clues in the lives of the victims but doesn’t realize he’s running out of time until his daughter and another person close to him are threatened by the killer. Fenton’s inquiry takes him deep into the psychopath’s tortured mind, while other police officers and Adam Blake, an ex-boyfriend of one of the victims, begin investigations of their own. 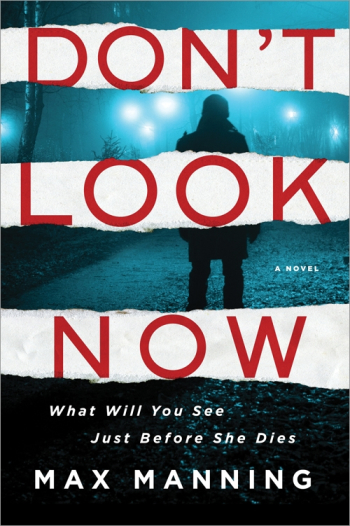 With chapters that alternate the murderer’s perspective with other characters’, Don’t Look Now builds suspense quickly and sustains the tension. It is a tightly written, grim mystery that builds on Blake’s growing paranoia and his past trauma in Iraq to keep the plot twisting along. Once Blake and Fenton start working together, the plot thickens. Their collaboration and strengthening friendship add dimension to the book. Author Max Manning makes it clear that everyone is a suspect. The novel is packed with clues (and red herrings! ), but the real standouts are details that make the story feel flesh-crawlingly possible. Social media has never been spookier. Don’t Look Now is criminally captivating. Susie Mahl knows a few things about the fine art of sleuthing. In A Brush with Death, the unlikely detective unravels a murder mystery in the idyllic English countryside. This self-effacing, humorous mystery has a light touch and a good eye for detail. Susie knows that life rarely goes as planned. Her underwear drawer, packed with fluffy, frilly lingerie, hints at a more glamorous life than the one she’s living. Instead of painting fine art, she makes a living as a pet portraitist. Her commissions allow her to mix with the upper classes, “filling a spot as the single, eccentric artistic friend.” She’s comfortable as a token misfit, but her outsider perspective comes in handy when the Earl of Greengrass is found in a scandalous state, dead as a doornail outside the village church. As the local police begin their queries, Susie finds a few telling clues of her own. She finds that her artist’s eye makes her a perfect investigator. Weaving together details about painting and drawing techniques with crime procedures, A Brush with Death is nicely balanced and engaging. Susie segues easily between talking about her love life, her creative work, and the mystery she’s embroiled in. From Susie’s perspective, this “murder malarkey” may be nothing, but her natural curiosity pushes the plot along. She’s the best-drawn character of the book, offset by a cast of self-consciously British characters with names like Asquintha Cornfield and Antonia Codrington. Susie’s gentle, slightly snarky humor pervades the mystery and keeps the tone light. Is it a murder, or just a bit of fun? 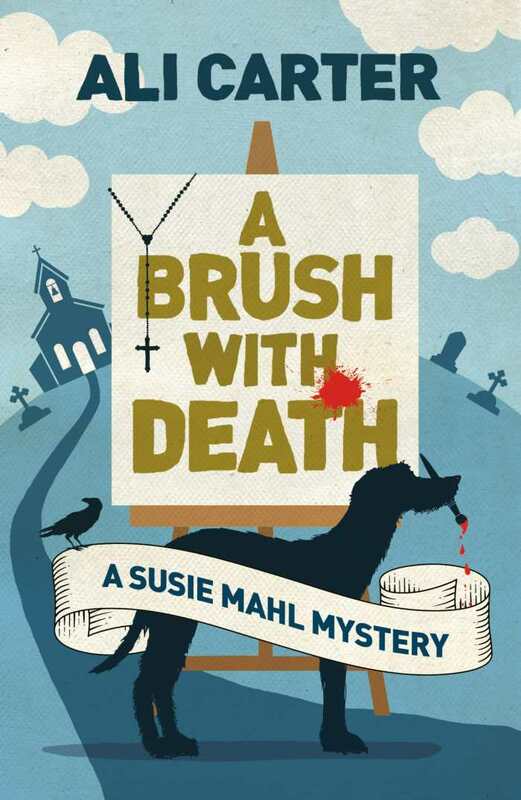 A Brush with Death is a perfectly English mystery, with an abundance of all the right jokes, details, and muddy dogs. Author Ali Carter’s first book is a lovely romp and shows promise for a wonderful tongue-in-cheek mystery series. 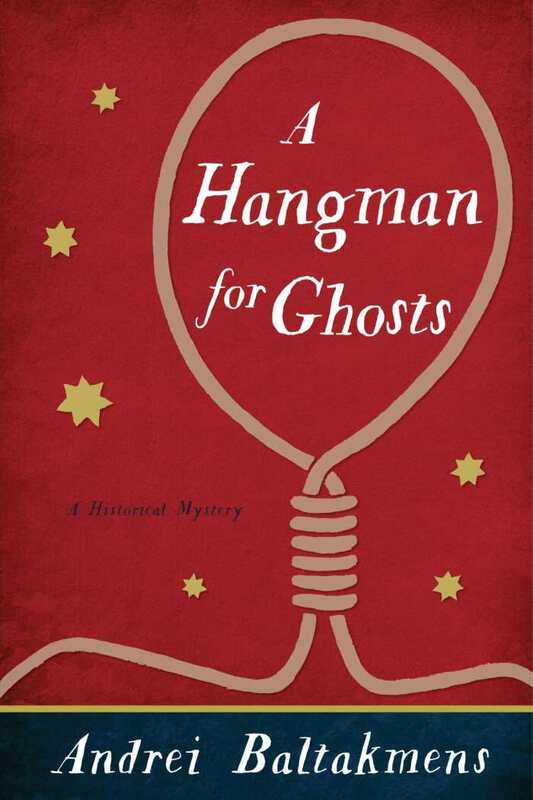 Set in the roiling, corrupt world of an 1829 prison colony, Andrei Baltakmens’s A Hangman for Ghosts is a historical mystery that brings regency-era Australia to life. Gabriel Carver, the hangman of Sydney, is a dark, lonely figure. Soaked in rum and regret, Carver becomes an unlikely detective when a woman from his past is accused of murder. As Carver follows the clues through Sydney’s underbelly, he encounters a cast of bleakly Dickensian characters, from whistling streetwalkers to baby-faced policemen. As he works to solve the murder, the mystery of Carver’s own origins unravels as well. With rich historical details that evoke Australia’s early colonial days, this is a wonderful, traditional novel. The novel does lean a bit on the Dickensian tradition, and some chapters feel repetitive, as though serialized; however, the mystery’s thread keeps spinning at a satisfying pace. Folding in vivid details, bright characters, and compelling dialogue, the story is a page-turner, a savory treat to be devoured. This delightfully grim historical mystery is true to Dickens’s style, and holds on to its secrets with tight, clammy fists. 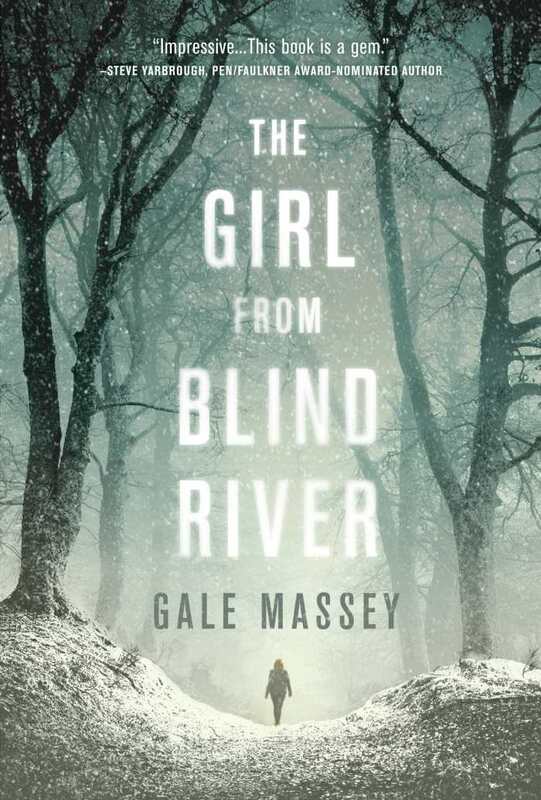 The Girl from Blind River is a gritty debut thriller about high-stakes poker in a small town in New York. Jamie Elders, born with a gift for cards and a criminal streak, learns that Blind River is a hard place to live and an even harder place to leave. When Jamie gets in over her head, she needs every trick she knows—and she’s playing against the house. Jamie has crime in her DNA. Her uncle, Loyal, runs gambling games and pushes cash through Blind River’s seedy coin trade shops. Jamie’s mother, fresh out of prison, passed on her magic touch with cards. Jamie learns early that the only way to win is to be the best at cheating. Although she’s only nineteen, Jamie has an abiding, earned distrust of other people that gives her perspective an edge. She’s no do-gooder: her poverty and loneliness sharpen her and make her a compelling character. Although many of the other characters, from a crooked judge to the sly good ol’ boys who crowd around the game table, feel overly familiar, there are a few twists and reveals that keep Blind River from falling into stereotypes. The book moves fast, quickly mapping the Elders family history and establishing well-drawn landscapes. Diners, trailers, gas stations, and casinos: Jamie’s world is dingy, lit by tacky neon. It’s easy to want Jamie to win, and when she starts on her path out of Blind River, it’s with a drive that kicks the plot into high gear. However, she has a few obstacles, including a dead body and her irresponsible younger brother. Gale Massey peppers the text with authentic, chilling details: the texture of a marked card, the exhaustion of digging a hidden grave. From corpses to counting cards, Blind River plays it close and smooth. 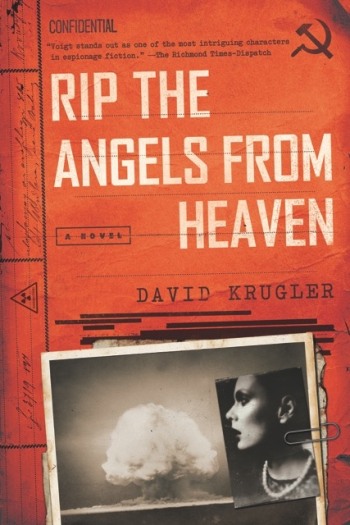 Cigarette smoke and Soviet spies mingle in Rip the Angels from Heaven, a wartime spy novel set in 1945. With the nuclear age on the horizon, Lieutenant Ellis Voigt must decide whom he can trust with the secrets that threaten his life. Rip the Angels from Heaven is packed with blackmailers, red herrings, and double agents. Voigt, carrying information that is key to finishing the atomic bomb, finds himself caught between America’s Naval Intelligence and the Kremlin’s undercover spies. The FBI thinks he’s a murderer, and the Soviets want to extract more secrets from him—with an ice pick. Voigt, on a mission to New Mexico, faces trouble from both inside and outside his organization: “digging into my past, field agents would snuff and paw relentlessly.” Voigt, ever defiant, presses on, but he knows he’s only got a little time. Will he choose his own safety or stop the Soviets from getting the bomb? Rip the Angels from Heaven is a hard-boiled delight, from its chain-smoking hero to its wartime lingo. Author David Krugler, a professor of history, has created a rich, sultry world of bureaucratic crime. His protagonist is tough and canny, with a criminal streak that makes his character irresistible. Voigt may worry about looking “awful hinky,” but he has bigger fish to fry. “The Russians never forgave and they never forgot. Just ask Trotsky,” he reflects. Voigt’s gallows humor keeps heavier scenes moving while also acknowledging what’s at stake if he cracks under pressure. Krugler’s latest novel has a five o’clock shadow and a gimlet eye. Rip the Angels from Heaven is a finely written historical thriller that pits spy against spy. Keds, neon, Aqua Net, and Satanic Panic: Big Woods is a satisfying, pulpy mash-up of pop culture references and classic horror. By turns spooky and super sentimental, the novel encapsulates the high emotions of adolescence and the spiritual anxiety that permeated the late 1980s. 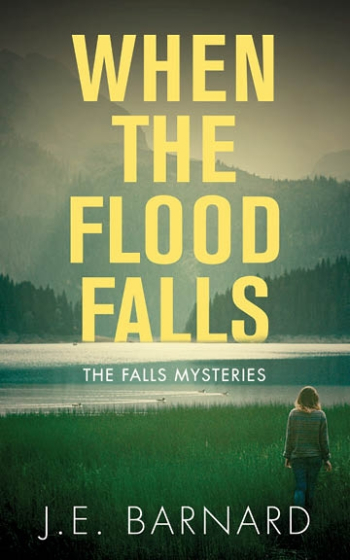 After her younger sister Lucy disappears, Leah Spencer starts to think that she may have been kidnapped by a devil-worshiping cult; Lucy isn’t the first child to go missing in Longview, Texas. As Leah searches for her sister, she unravels a decades-old mystery. Against her parents’ wishes, she goes deeper and deeper into Big Woods, where street signs “dangle from their metal rusty poles like loose teeth.” Leah is led by uncanny, supernatural messages that appear in her dreams, on her family’s Commodore 64 screen, and even in the dots on her Lite Brite. 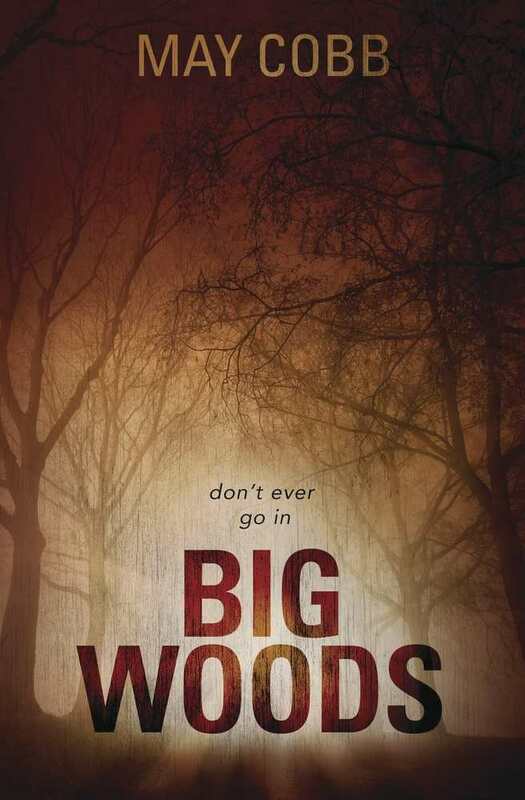 Her connection to Lucy is at the core of Big Woods, and it enlivens this story of small-town horror. Big Woods alternates between Leah’s viewpoint and the perspective of Sylvia, an older woman who blames herself for the missing children. The characters’ voices are distinct and provide valuable insight into the mystery. Nail-biting scenes build on one another, adding details that build tension. The novel’s plot is well twisted, and author May Cobb draws out terrifying moments with clarity. Some chapters feel rushed, however, pushing the story so hard that there’s not enough time for new information to sink in. Sylvia’s role seems to be primarily to provide backstory: as a character, she’s the equivalent of a newspaper clipping or a found diary. As the story lines overlap more, the novel begins to feel fleshed out, less two dimensional. Big Woods is perfectly timed to take advantage of the 1980s horror revival. Its historic details are excellent, down to the songs on Leah’s car stereo. Cobb paints in Day-Glo and brings terrors of the night to life.